We selected a new equity partner, TPG Capital – our third private equity partner in the past seven years – to help support our customer commitment, reinforce continued growth strategies and increase investment innovation. The Transplace TransMatch Program was awarded the 2017 SMC³ Alliance Award at the Jump Start Conference. The Alliance Award recognizes successful partnerships that use innovative problem-solving and continuous improvement tactics to achieve valuable results. In May, we welcomed the best and brightest transportation and supply chain industry leaders to our 15th annual Shipper Symposium in Austin, TX. We helped identify strategies for navigating the latest trends and challenges impacting the supply chain. 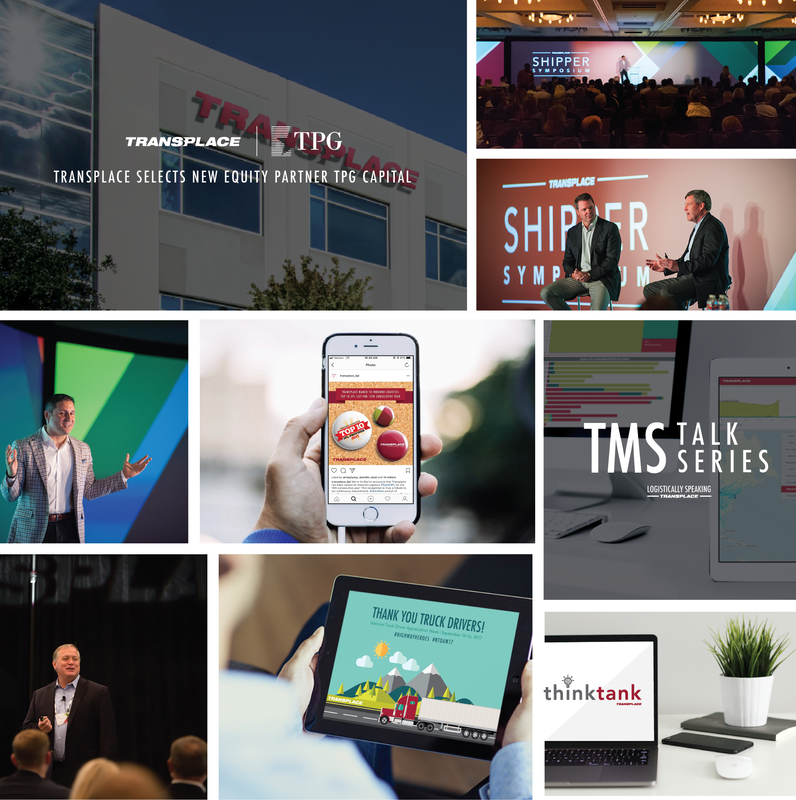 Some of our fantastic employees created a Transplace “Think Tank” with the mission to influence others with a revolutionary mindset of continuous improvement by cultivating empowered thought leaders. The Think Tank works to optimize reporting for customers and creates more efficient custom reports for unique requests. We were ranked #3 on Inbound Logistics‘ “Top 10 3PL Provider” list. This was the 15th consecutive year on the prestigious industry list and a proud tribute to our continuous improvement, relentless pursuit of excellence and ongoing dedication to our customers. We helped a number of customers successfully complete emissions reporting with the U.S. Environmental Protection Agency (EPA) SmartWay Transport Partnership. We celebrated National Truck Driver Appreciation Week by contributing to the St. Christopher Fund, a charity that supports semi-truck drivers whose medical problems occurring with the last two years have led to financial hardship. We hosted our Annual Carrier Symposium in Fayetteville, AR. The one-day event provided education, recognition and appreciation for carriers who provide capacity in support of our shipper customers. We introduced the Quarterly Industry Insight Report, an overview of the transportation industry, capacity and rate trends and economic insight to help organizations stay ahead of the curve. Thank you to all of our dedicated employees, loyal customer and outstanding industry partners for a successful year. Happy holidays and we’re looking forward to all that’s in store for 2018! What was your favorite part of 2017? Let us know in the comments below!